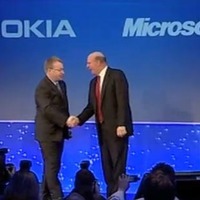 Today, Nokia and Microsoft announced the next level partnership and announced the new of Board Director for both companies and also an agreement to buy Nokia devices & services business, Nokia Patents and License and Nokia Mapping Service by Microsoft. Microsoft will pay EUR 3.79 billion to purchase substantially all of Nokia's Devices & Services business, and EUR 1.65 billion to license Nokia's patents, for a total transaction price of EUR 5.44 billion in cash.
" Today’s agreement will accelerate the momentum of Nokia’s devices and services, bringing the world’s most innovative smartphones to more people, while continuing to connect the next billion people with Nokia’s mobile phone portfolio. "